On arrival in Beijing, you will be met by our English speaking tour guide and transferred to our centrally located hotel in Beijing. Free for the rest of the day. After breakfast at your hotel, start your tour with the visit to Tiananmen Square, the largest public square in the world. Located in the heart of Beijing City, it is the site for massive parades and rallies, which is the largest square of this kind in the world. This was the site when in 1949, from a rostrum on Tiananmen (the Gate of Heavenly Peace), Chairman Mao proclaimed the establishment of the People's Republic of China. Then move on to the Forbidden City, the Chinese imperial palace from the mid-Ming Dynasty to the end of the Qing Dynasty. For almost 500 years, it served as the seat-bed of the Emperors in Ming and Qing Dynasties as well as the ceremonial and political centre of Chinese government. After halal lunch at a muslim restaurant near Niujie Mosque. Then move on to visit Niujie Mosque , the oldest in Beijing with over one thousand years' history. In the course of several reconstructions, the Chinese architectural features have supplanted the original Islamic influences. 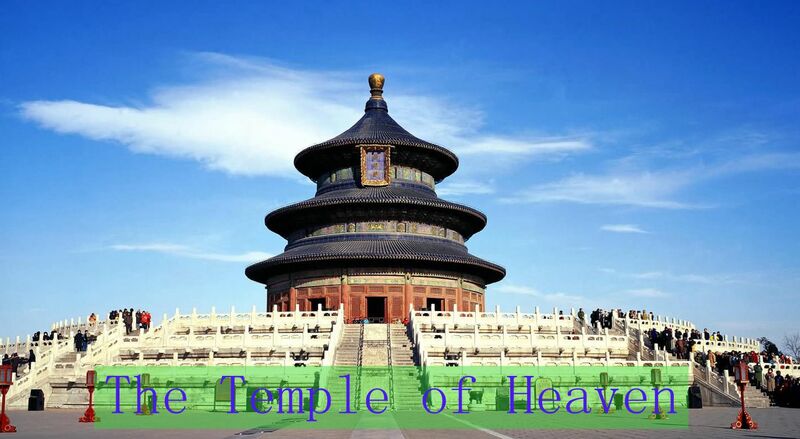 Continue to the Temple of Heaven, the place where the emperors of Ming and Qing Dynasties worshiped heaven and prayed for peace and harvest. It was first constructed in 1420, the 18th year of the reign of Ming emperor Yongle. It was the place where the emperors of the Ming and Qing dynasties would worship the god of heaven and pray for good harvest. Then back to your hotel in Beijing. After breakfast, have a full day excursion. First visit to Mutianyu Great Wall. 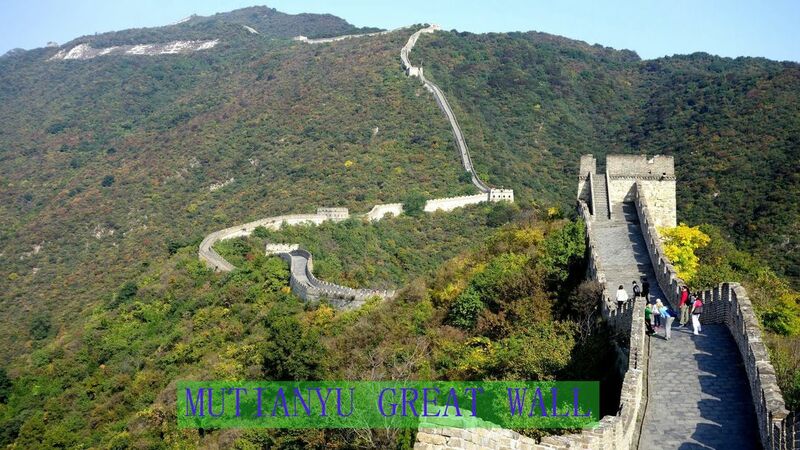 The Mutianyu section of Great Wall is located in Huairou district, about 80 km north from downtown Beijing. It is a green section of the great wall in Beijing with vegetation, green pines and cypresses covering 90 per cent of the section. After the muslim lunch, then head to Changling,(one of the 13 Ming Tombs ), which was the head and the largest tomb of Ming Tombs, where Emperor Yongle (the first Ming Dynasty emperor in Beijing) and his Empress Xu were buried. Emperor Yongle was the first emperor of the Ming Dynasty to build a tomb. After that another 12 tombs were built. Back to your hotel in Beijing. After breakfast, start your morning tour with the visit to the Summer Palace , originally a royal garden and a temporary dwelling palace for emperors of Qing Dynasty. It is an imperial garden most completely reseved with richest landscapes and concentrated buildings. The Summer Palace was added to the world cultural heritage list in 1998. After lunch at a local Muslim restaurant, head to Huashi Mosque. The Huashi Mosque was first built in 1415 during the reign of the emperor YongLe in Ming Dynasty. It has a long history of more than 500 years. Then move on to National Grand Theatre for an inside visit. National Grand Theatre , or The National Centre for the Performing Arts (NCPA), is one of the 4 most important landmarks in Beijing. It was designed by French architect Paul Andreu. Construction started in December 2001 and the inaugural concert was held in December 2007. After breakfast, head to the Shichahai Area - the old part of Beijing. You have a hard-to-get-opportunity visit an old courtyard, walking along the 800-year old Yandai Xiejie ( Tobacco Pipe Lean Street ), and get to the Drum Tower. Then move on to the Olympic Green to have an outside look at the Bird's Nest and Water Cube. The stadium hosted the main track and field Football, and final competitions for the 2008 Summer Olympics, as well as the opening and closing ceremonies. Then transfer to airport for departure or free activity on your own. Then transfer to airport for departure or free activity on your own. 4.Two sharing stay at our selected best vaule hotels listed. Full Name, Nationality, Gender, Names of Travelers, Flight No., Arriving Time and Start Date. You are also welcome to call us at 00 86 15011044538 ( 9:00 am - 6:00 pm Monday through Saturday). We will not refund any losses due to missing or incorrect information. ● All rates on this page are subject to reconfirmation from our trip advisors when an actual booking is being made. ● Child definition: from Age 3 to 11 Years. Contact our trip advisors for the actual discount for your kids. 12 Years old and above will be charged as Adult Price. ● You are strongly recommended to to book this tour at least three days in advance to secure the land arrangement involved and avoid the risk of being canceled.